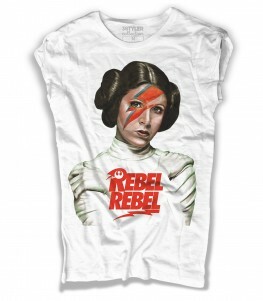 Rebel Rebel t-shirt nera – T-shirt donna nera raffigurante la famosa scritta Rebel Rebel in versiona antichizzata, apparsa per la prima volta sulla copertina dell’omonimo singolo di David Bowie, pubblicato come 45 giri nel 1974. 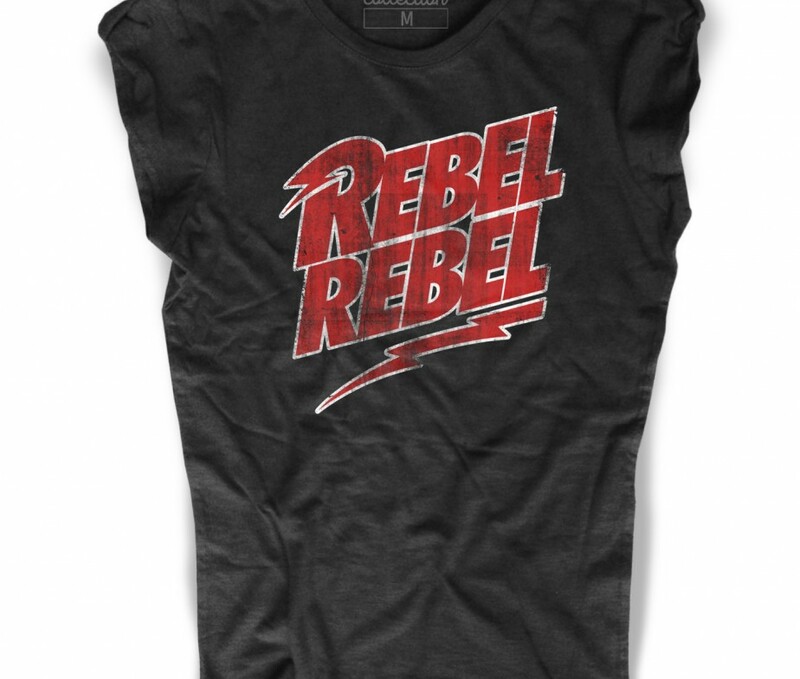 Rebel Rebel black t-shirt – Black women’s t-shirt depicting the famous Rebel Rebel in an antiquated version, which appeared for the first time on the cover of the homonymous single by David Bowie, published in 1974. 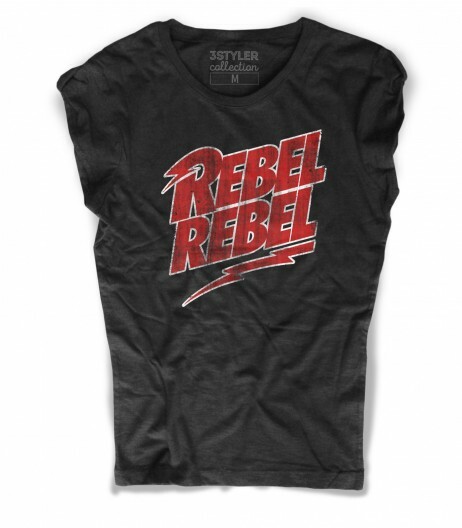 COD: TD0180603. 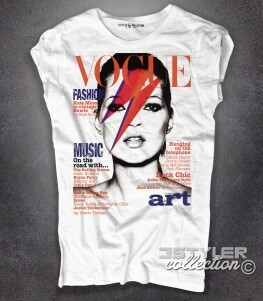 Categorie: 3stylercollection, Designers, Sound And Music, Sound And Music, T-shirt, T-shirt Donna. 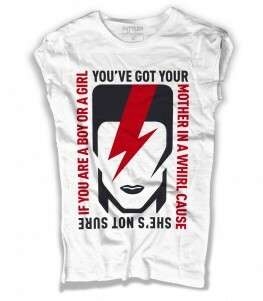 Etichette: cotone fiammato, David Bowie, Diamonds Dogs, glam rock, Rebel Rebel, ribellione, riff, slub, t-shirt, Ziggy Stardust.